The anthroposophical movement, founded by Rudolph Steiner in 1912, is a movement that incorporates mystical insight and superior speculation to arrive at a larger meaning. Well, you get the idea. 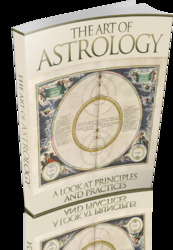 And, once you know what you're looking for, you'll discover lots of astrological advice in the Bible!